If you would like to audition for Sleeping Beauty, then head along to Cannon House on Wednesday 2nd September 8pm for our read through & then our auditions will be on Sunday 6th of September! 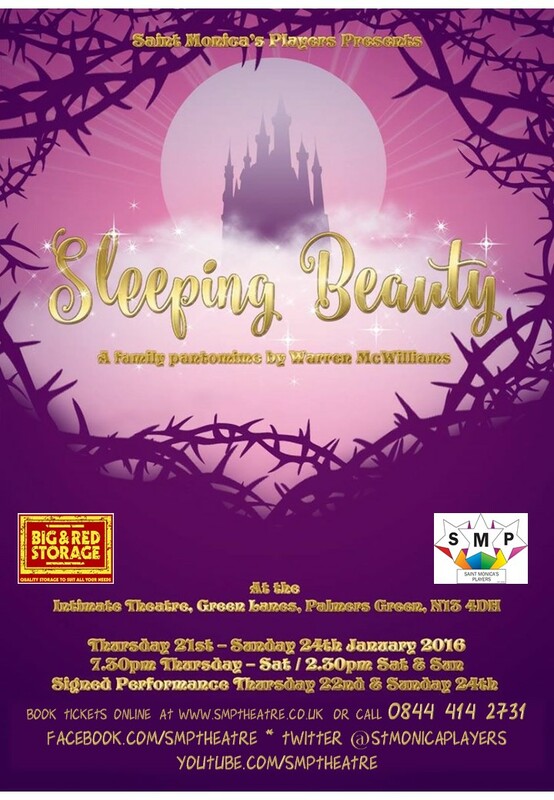 SMP (Saint Monica’s Players) is a north London theatre company based in Southgate/Palmers Green who have been producing musicals, pantomimes and plays for over 50 years. If you want to do amateur dramatics in Enfield, we’re the best am dram group around. Visit us on Facebook, Twitter and Youtube! Please contact us via the Saint Monica’s Players group page if you have any questions.